Pilot check valves are used to block the cylinder in both directions Flow is free in one direction and blocked in the reverse direction until pilot pressure is applied. 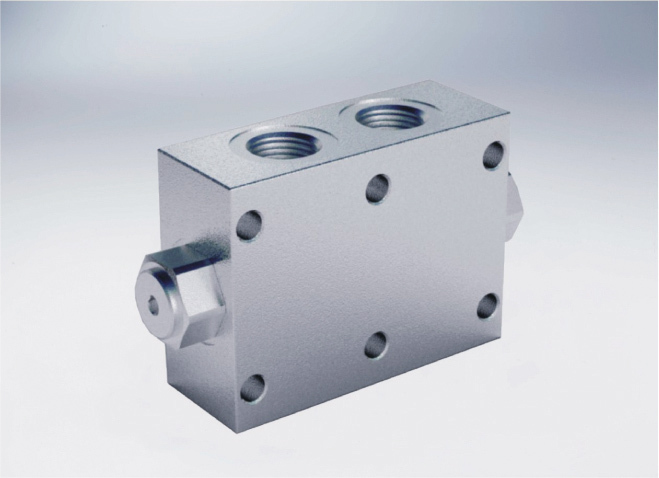 Face mounting enables assembly directly on the cylinder. Connect V1 and V2 to the pressure flow and C1 and C2 to the actuator through the flange.